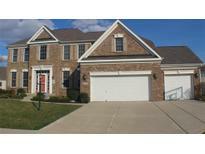 Below you can view all the homes for sale in the Anderson Hall subdivision located in Fishers Indiana. Listings in Anderson Hall are updated daily from data we receive from the Indianapolis multiple listing service. To learn more about any of these homes or to receive custom notifications when a new property is listed for sale in Anderson Hall, give us a call at 317-427-7201. Very clean with many upgrades. Great price. MLS#21632002. Paradigm Realty Solutions. Close to I-69, shopping, restaurants, dtown Fishers,Top Golf, & Ikea!Come see why Fishers has been ranked #1 Place To Live in America by Money Magazine! MLS#21623786. CENTURY 21 Scheetz. See why Fishers was ranked #1 Place To Live in America by Money Magazine! MLS#21626083. CENTURY 21 Scheetz. Show today as you will not be disappointed. MLS#21625850. CENTURY 21 Scheetz. Compare:almost 3K w/compl finish LLw/new wet bar&x-stor;custom encl breezeway/mudroom&Dining.area access cov.outdr lanai-easy to merge outdr/indr experiences-watching TV/enjoy.fireplace-wood/BBQs all year long w/family&friends!cov.frt porch;gourm kitchen/stainless steel appli,granite,gas range!center isl,cust bckspl;2.5 c-att garage!great room 10' ceilings w/hardwoods,fireplace-gas;dual zone HVACwalk to:swim,clbhse,nature,pic.areas,plygrd;Hamilton SE school!Reasonable prop taxes!Owners relocated out of state. MLS#21623524. Kincaid REALTORS, LLC. A rear load oversized two car garage packs plenty of room for family extras. MLS#21618189. F.C. Tucker Company. Close to HTC, for shopping & dining! MLS#21617946. F.C. Tucker Company. Builder 2 yr Home Life Warranty! MLS#21617840. CENTURY 21 Scheetz. Fantastic outdoor living on spacious deck, professionally landscaped fenced yard. MLS#21616948. RE/MAX Edge. Close to Community Pool, Clubhouse & Pond. Award Winning HSE Schools! MLS#21616950. RE/MAX Realty Services. Fresh Paint Throughout Home, and Customized Closets in All Rooms, Including the Pantry. MLS#21614024. Berkshire Hathaway Home. Open the door to luxury at it's finest, everyday living made simple with this open floorplan! MLS#21613779. F.C. Tucker Company. 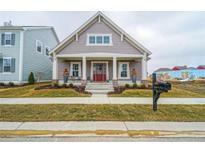 of 3 car garage!Master w/ laundry access & tiled super shower!All bedrooms have en-suite baths.Finished basement w/ 9' walls,full bath,bedroom,&wet bar rough-in.Relax on your rear covered lanai!Community pool,clubhouse,playgrounds,&green space.See why Fishers was ranked #1 Place To Live in America by Money Magazine 2017!Photos are not of actual home~same floor plan~colors and selections will vary. MLS#21613741. CENTURY 21 Scheetz. Fishers, IN has been ranked #1 Place To Live in America by Money Magazine 2017! MLS#21601547. CENTURY 21 Scheetz. Relax by your private pool in the summer or by your fireplace on those chilly fall days. MLS#21607583. F.C. Tucker Company. Fishers, IN has been ranked #1 Place To Live in America by Money Magazine 2017! MLS#21602998. CENTURY 21 Scheetz. Neighborhood features playgrounds, pool and nature area! MLS#21599094. CENTURY 21 Scheetz. Outdoor living, sure to not disappoint featuring fireplace on your covered lanai! MLS#21597858. F.C. Tucker Company.